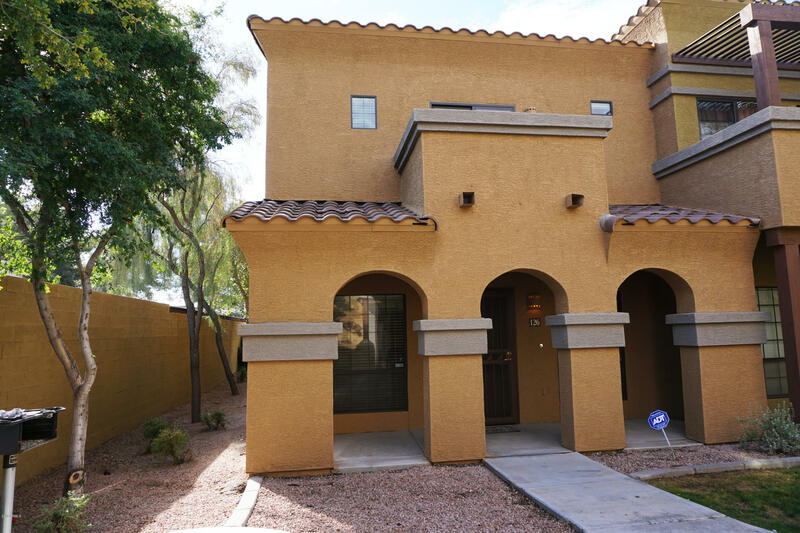 **PRICED TO SELL FAST** Gorgeous Tuscany-style two-story townhouse in the highly sought 'Villa Milano' gated community! This is an end unit and one of the larger layouts in the community! Enjoy your balcony off the master bedroom, relax at the community pool, clubhouse & grassy areas throughout the community. 3 bedroom, 2.5 bathrooms, 2 car garage, open floor plan with ceramic tile all downstairs. All appliances stay including washer and dryer. Water softener and newer Pella windows are just an added bonus! Near freeways, shopping centers, and restaurants.